Outlining Geological Setting regarding Basin Tectonics and Structural Style, Lithostratigraphic section and Standard Nomenclature, Regional hydrocarbon sourcing, Typical traps, top seals, lateral seals. Researching Project Area Research including Local Basemap (fields, wells, cultural data), Producing intervals and cumulative production, Type Logs and stratigraphic column, Seismic data acquisition parameters and processing flow. Digital Data Loading (Cultural, Well curve, Digital fault cuts, formation picks, and Seismic data). Petrophysical Analysis (Standardizing and normalizing log data, Build local petrophysical model, Determination of reservoir characteristics “Rw, OWC, porosities, lithologies”, and Creating, inventorying, and analyze well files “cores, dipmeters, mudlogs, and other logs”). Sequence Stratigraphic Framework (Determination of major sequence boundaries, Depositional environment modeling, and Identify major faults and unconformities). Synthetic Seismograms (Frequency analysis of seismic data, Create synthetics integrating VpVs, sonic, and densities). Structural Reconnaisance (Tie Synthetics to seismic data, Identify seismic reflectors that correspond to regional sequence boundaries, Generate interpretation of regional markers, major faults and unconformities, Identify areas of structural interest). 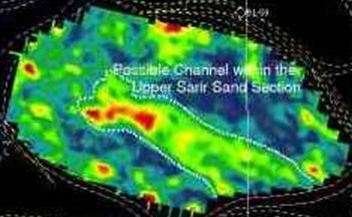 Study Producing Analogs (delineate reservoir geometry near producing wells, Identify trapping mechanisms, Detailed seismic attribute analysis on productive intervals). Identify Prospects (Detailed mapping of exploration area, Seismic attribute analysis focusing on productive analogs, and Map geometry and extent of prospective traps). Extended Seismic Evaluation (Reprocess seismic based on interpretation “if deemed necessary”, Invert seismic data to aid in prospect evaluation, Compute continuity coherence cube for reservoir compartmentalization analysis). Depth Conversion (Detailed velocity analysis of seismic data, Create velocity volumes. Convert interpretations to depth, Plot final contour maps - structure, isopachs, velocities, errors, Output digital files of final interpretation surfaces for geological modeling). 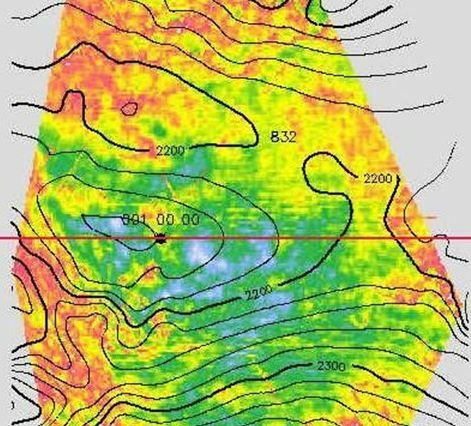 Final Report (Recommend drilling locations, Evaluate and quantify depth and thickness of target reservoir, Describe target geometry and trapping style, and Discuss risk factors related to quality of input data).